Lots of foam is not very cleansing, but rather drying. Soap is like cheese. It must mature for one to eight months. No piece is the same as another. Because the temperature and the weather influence the colour. The production process is reminiscent of baking for fun at a very basic level. Using a very big mixer and lots of forms. It comes down to milligrams. In order to get the right consistency and a result that feels beautiful. Because ultimately, soap is not like plastic. And also likes to release its fragrance in the wardrobe. Daniela Palmberger and Reinhold Schuhmann know all about this and are literally bubbling over with enthusiasm regarding soap. No wonder, as this is their job. 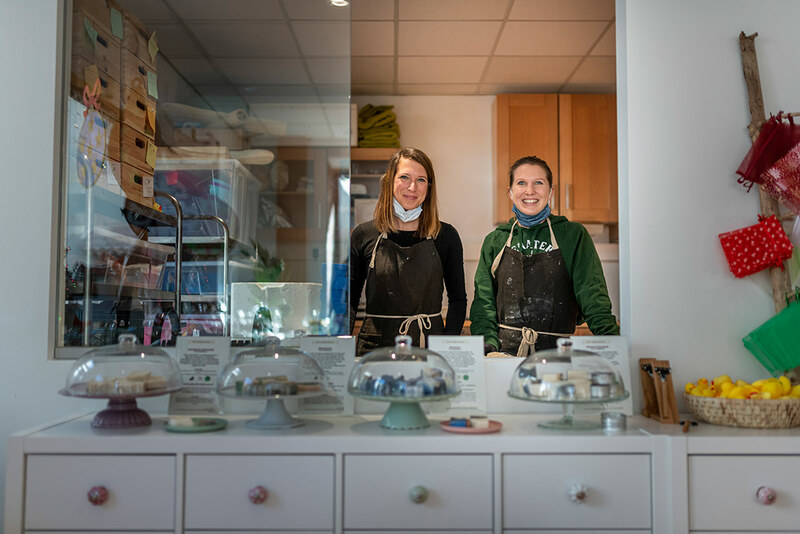 As "die Seifensiedler" (the soap boilers), they produce natural soaps and sell them from their little shop in Partenkirchen, which is just as welcoming as the two owners themselves. She, the pragmatic IT manager. Connected to nature, with a tendency to get involved in things: "I taught myself about soap through many long nights of reading." He, the trained businessman. Lovers of travel and avowed fans of Crete for over 30 years. "It all began with Cretan olive oil soap. I had always used this myself. Then the producer changed to chemicals, so the product was no longer an option." Neither was giving up natural soap. So, Daniela and Reinhold decided to write their own soap opera and went from being "number pushers" to "foam whiskers". Together, they really got stuck in and soon the ideas not only flooded their minds but also their shop counter. In the form of all natural soaps produced by Daniela using a cold press process and certified according to strict guidelines. She only uses natural plant oils and fats, relying primarily on regional ingredients. For example fresh organic goat's milk, calendula blossoms from her own garden, honey from Upper Bavarian bees and alcohol-free Ettaler yeast beer - she knows exactly where everything comes from and what it is good for. Accordingly, "all of the recipes are developed in-house as required." 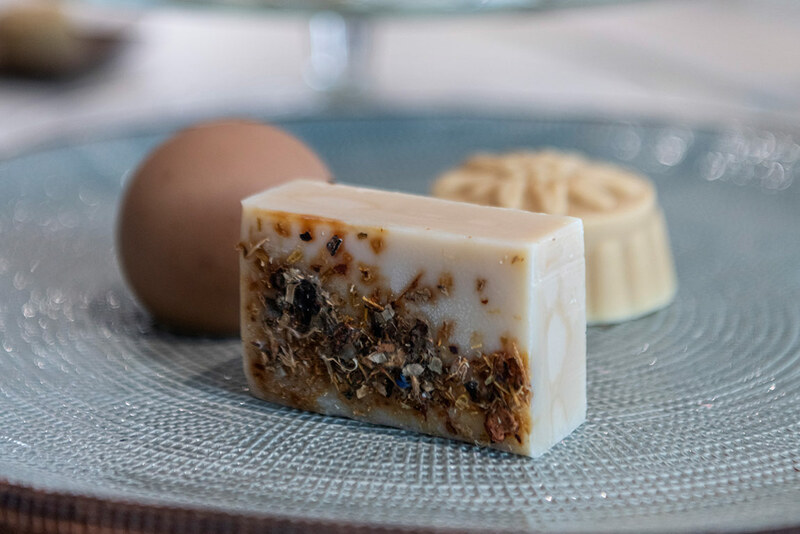 Thus, the gardeners' soap gets under one's skin, the animal soap repels insects and the silk soap is suited to other parts of the body. However, the fragrance one chooses is purely a matter of taste. Because soap polarises - either you wrinkle up your nose or feel like taking a bite. This is why the 'Seifensieder' range is so varied. From entirely natural hypo-allergenic varieties that are only very mildly scented and made of as few raw materials as possible. To individual wedding soaps, with a golden shine that knocks the usual gifts given to guests off their throne. To small shapes for children's hands, which are easy to grip and turn the bathroom sink into a play area. Moreover, it is wonderful to see that all of these soaps take a stand against the plastic fantastic-world and prevent waste. This is very close to the hearts of both 'Seifensieder': "We try to use as little plastic as possible in all related areas too." Therefore, the shop not only sells soaps but also other "clean" products. Consciously selected, inviting one to touch everything and to turn down the wash cycle setting while browsing. There is a lot to discover.